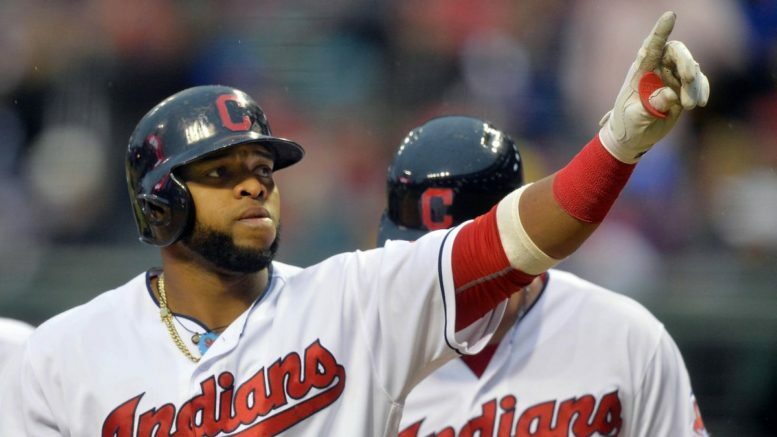 Will Carlos Santana and the Indians be hurt by the long layoff going into the World Series? This has been a disturbing trend over the years, and not one that teams can really do anything about, either. But because of the structure of the Major League Baseball playoffs, sometimes, a team can be a victim of its own success. Such has been the case in each of the last seven seasons, so it’s fair to wonder if the Cleveland Indians will be victimized by the rust factor when the World Series begins tomorrow against the Chicago Cubs. A team that knows this all too well is the Indians’ division rivals, the Detroit Tigers. The Tigers have won two American League pennants in the last 11 years, each time sweeping their foe in the ALCS to reach the Fall Classic. Both times, they were forced to wait extensively as the NLCS went the full seven games. Both times, they were whitewashed on baseball’s biggest stage, losing in five games to the St. Louis Cardinals in 2006 and getting swept by the San Francisco Giants in 2012. Since 2009, when the New York Yankees were victorious over the Philadelphia Phillies in six games, all seven teams that waited at least one extra day to begin the World Series lost. Just last year, after sweeping the Cubs, the New York Mets were beaten in five games by the Kansas City Royals. The Mets’ layoff was two days longer. Cleveland has defied the odds to reach the World Series, despite the fact that it is a very good club, with a championship-caliber manager and a lot of confidence. But mojo has had a funny way of disappearing on teams as they sit idly by waiting to play for all the marbles. We’ll see if the Indians can buck the trend, or if the Cubs knock off a little 108-year rust of their own. Be the first to comment on "Layoff always seems to hurt teams in World Series"